Volatile solvents - These are found in various fuels and paints. The glue sniffers of the 1960s popularized this class of inhalants. Products abused in this category include gas, "goop" (a product to resole shoes), lighter fluid, paint, kerosene, gun cleaning solvent, cleaning fluids, nail polish, nail polish remover, rubber cement, paint thinner, varnish, spot remover, toxic markers, and propane. Aerosols - These products are readily available in virtually every household. Products abused in this category include hair spray, spray paints, spray deodorants, frying pan lubricants, air fresheners, freon, computer "dust-off", and fabric protectors. Asthma inhalers are also abused. Like other aerosols, they contain fluorocarbons, which produce euphoric effects. Peers refer to individuals who choose this product as "spray heads." Nitrites - Inhalant nitrites including amyl nitrite, (street name-poppers and snappers) was originally prescribed for heart patients. Butyl nitrite (street names-rush, bolt, locker room, bullet and climax) is sold as room fresheners. Nitrites are also sold as aphrodisiacs in adult bookstores and through mail order catalogs. According to NIDA (2005) Nitrites are now prohibited by the Consumer Product Safety Commission, but can still be found, sold in small bottles, often labeled as "video head cleaner," "room odorizer," "leather cleaner," or "liquid aroma." Anesthetics - Products abused in this category include ether, chloroform and nitrous oxide. Nitrous oxide is commonly called "laughing gas" and used by dentists. Nitrous oxide is also sold in balloons at rock concerts and available in small cylinders know as "whippets." The five substances most frequently used as inhalants include gasoline (by 57.4%), Freon (40.45%), butane lighter fluid (38.3%), glue (29.8%), and nitrous oxide (23.4%) (McGarvey, Clavet, Mason and Waite (1999). The National Institute of Drug Abuse (NIDA) provides a site to explore rooms in homes that contain inhalants. 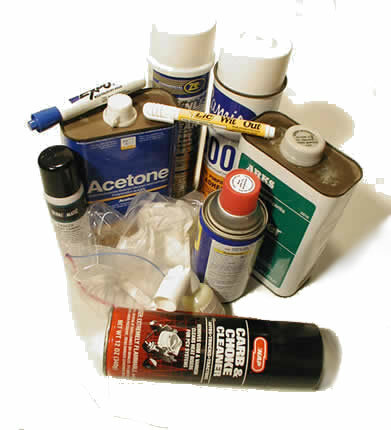 To find rooms that contain inhalants, click on Inhalants In Your Home (right side of page). 2008 © RnCeus Interactive, LLC all rights reserved.